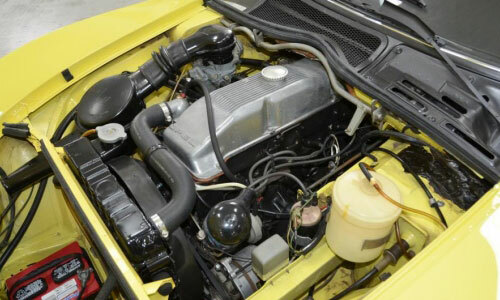 As with single-point fuel injection, the design of Opel’s cam-in-head (CIH) engine was an attempt to bridge the old and the new, to incorporate some up-and-coming features while using as many existing parts as possible. It’s a transitional form, as it were, between ’60s and ’80s tech. 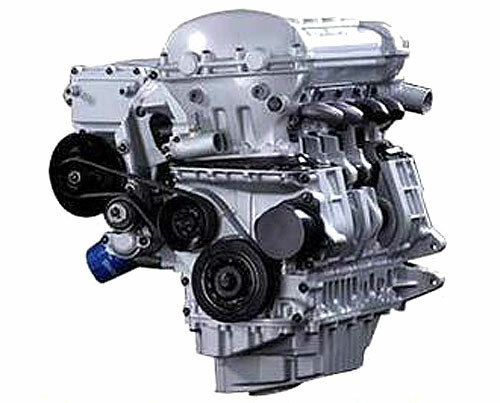 Fitted to the 1.9l, 4-cylinder blocks of the engines of Opel’s GT and Manta coupes, among others, the CIH head is a hybrid of overhead-cam and pushrod technology. 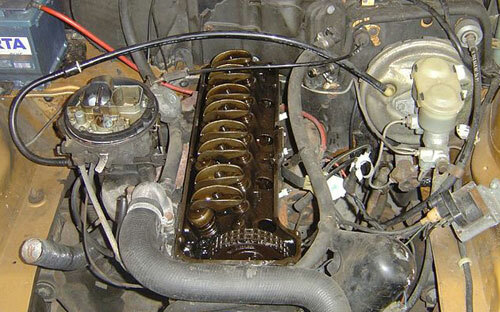 The camshaft is located in the cylinder head, as in an OHC engine, but the valvetrain still uses a pushrod setup’s rocker arms and lifters. It’s as if someone had taken a pushrod design and simply moved the cam upward until the rods themselves were rendered superfluous. Advantages? The CIH engine was obviously an easier sell to Opel’s corporate overlords at GM, reusing as it did much existing pushrod valve gear while still offering some of the benefits of a true OHC engine. The valvetrain is more compact than in a pushrod engine and its associated inertia is much less, allowing a redline north of 10,000 rpm for race-prepped CIH engines with roller rockers and suitable springs and cam profile. Hydraulic lifters can be easily used, and in case they aren’t, valve adjustments are much more straightforward than they would be if the cam operated directly on the lifters. 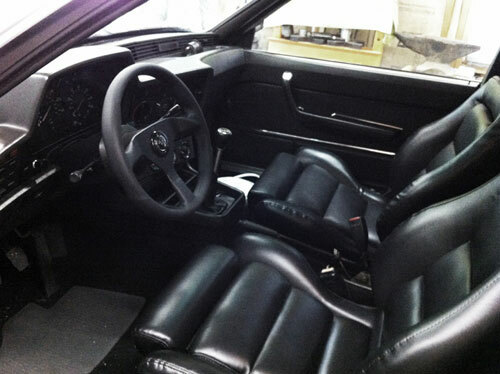 And significantly for the Opel GT, with its low-profile hood, the location of the camshaft farther down meant the engine’s overall height is lower than if the camshaft were truly overhead. 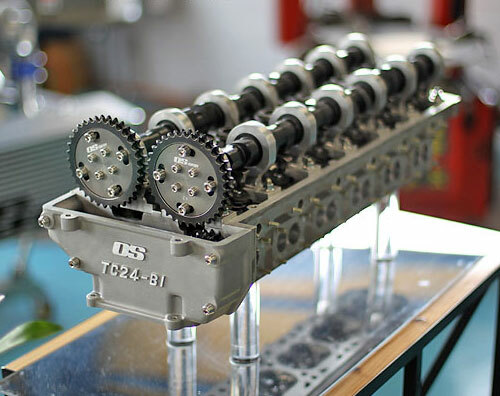 Downsides of the CIH engine mainly revolve around the standard limitations of a non-crossflow, 2-valve design, including relatively poor airflow and necessary compromises in combustion chamber design. 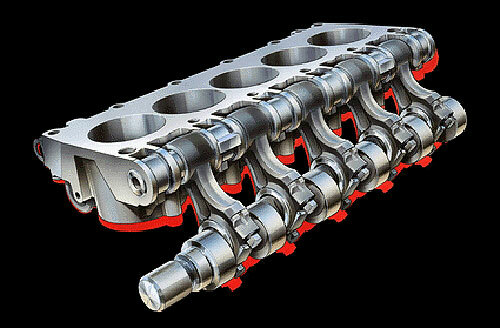 Also, the cylinder head casting is relatively complex, which introduces a risk of cracking, and the head was only ever made out of cast iron, incurring a weight penalty over an aluminum head. And whatever the valvetrain’s inertial advantages over a pushrod design, there still exists considerably more valve gear than a more direct OHC layout. Opel’s cam-in-head engine was a stepping stone, but a unique and noteworthy one. 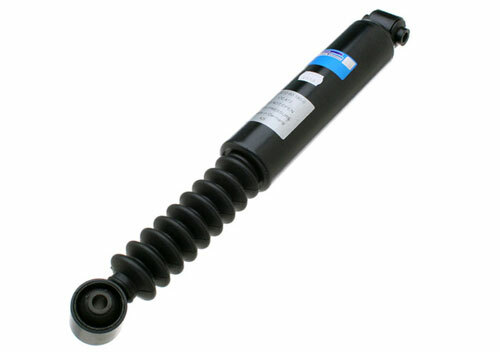 Fitted prominently to the Volvo 760 sedan and 780 coupe, among many others including Rovers, Opels and Mitsubishis, Nivomat dampers should be more well known. 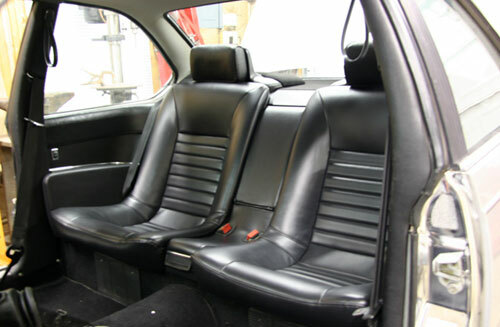 But they seem to remain an obscure detail uncovered only by new owners of cars fitted with the system, and then usually only when it fails. A combination of the French words niveau (level) and automatique, Nivomat dampers combine the function of the car-supporting spring and damper into one self-contained unit. As a result, they can be a source of particular frustration when they go bad, since the whole unit must be replaced, unlike a conventional suspension which isolates failure to either the spring (uncommon) or damper (more common). Not only that, Nivomat dampers’ relative rarity compounds the challenge by making parts that much more difficult to source and expensive. Does the Nivomat system have any redeeming qualities? Absolutely; as mentioned, the units combine springs and dampers, but more than that, as implied by the name, they automatically level the car regardless of the load conditions. No more sagging rear end when the back seat and trunk are fully loaded—the Nivomats’ internal pressure rises to compensate and restore the normal ride height. It’s worth noting, as well, that most, if not all applications fitted the system only to the rear wheels, leaving the fronts with a conventional spring-and-damper setup. The Nivomat system is hardly the only self-leveling suspension (SLS) on the market—BMW and Mercedes, just to name two, developed their own SLS systems—but what truly sets it apart is its completely self-contained design. 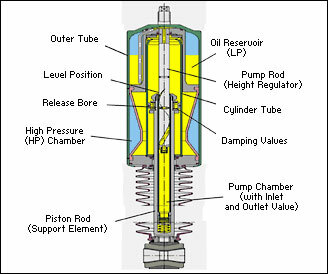 Where other SLS systems require a support network of pumps, lines and valves, raising the part count and drawing (an admittedly small amount of) power from the engine, a Nivomat damper has an internal pump and relies on car’s normal up-and-down suspension movement as it drives for the energy needed to operate, much like a self-winding watch depends for its power on the movement of the wearer’s arm. It’s a remarkably clever design that harnesses what would other be wasted energy in service of a useful function. Sadly, as widespread as they were, Nivomat dampers never really became mainstream. The system persisted for 20+ years, but modern electronic suspension setups eventually eclipsed the Nivomat system’s mechanical novelty. This engine had real promise. Killed by Saab’s GM overlords due to budgetary reasons, the Swedish automaker’s variable compression engine, or SVC, had one of the most favorable risk/reward ratios I’ve ever seen. In other words, for the small amount of new, unproved technology used, the potential benefits were phenomenal. As with most new engine technology, the touted benefits of the SVC included (much) more power from a given displacement, along with substantially increased efficiency. 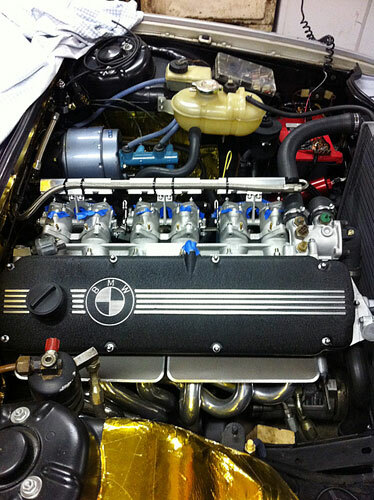 The proof-of-concept engine, shown in the accompanying images, was a supercharged 5-cylinder displacing only 1.6l, yet it delivered a remarkable 225 hp, with 30% less fuel consumption than a conventional engine of similar output. The secret to the SVC’s capabilities was the movable “Monohead” that allowed the engine’s compression to vary dynamically between 14:1 and 8:1. The engine’s control unit would raise the compression toward the higher setting in low load situations in order to squeeze the most energy from a given amount of fuel. And when higher power was required, the compression was lowered to accommodate the boost delivered by the supercharger and avoid engine-damaging detonation. The Monohead was hinged on one side, and actuated from the other with a stepless hydraulic crank (shown above). 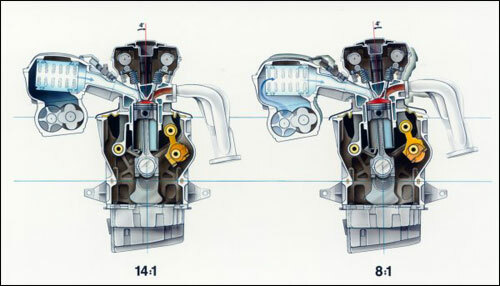 In practice, the system moved the cylinder head alternately closer to and farther away from the top of the pistons at top dead center, decreasing or increasing the “squish” volume, thereby varying the compression ratio. Simple, robust, effective: The Monohead was really the only innovation introduced by the SVC; everything else—pistons, ignition system, intake and exhaust, supercharger, etc—was proven, off-the-shelf technology. As I mentioned, given the engine’s promise, the amount of R&D required was shockingly low. So what happened? After being unveiled at the 2000 Geneva Motor Show, Saab’s corporate overloads at General Motors decided the project would consume too much development capital, and pulled the plug. They apparently thought badge engineering Subarus and GMC Envoys as Saabs was a better direction for the brand than potentially groundbreaking new engine technology… Given the Swedish automaker’s demise last year, we’ll never know if the SVC would have secured Saab’s future, but we know for certain that GM’s pathetic and shameful marketing strategy didn’t. 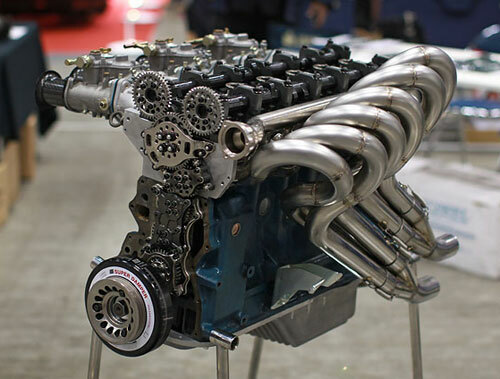 Dovetailing nicely with my recent post about Nissan/Datsun L-series tuning lore, I came across this page featuring the OS Giken TC24-B1Z, a stroked 3.2l, 420-hp L-series topped with the legendary OS Giken DOHC, 24-valve cylinder head. While it’s perhaps not the most romantic piece of machinery out there, the engine exudes a kind of precise beauty, sort of like an immensely powerful Seiko watch. 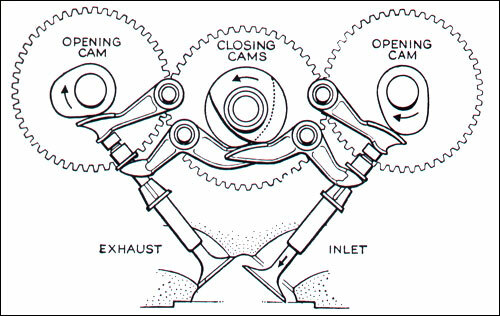 The gear-driven cam arrangement, chosen for durability at the engine’s 10,000 (!) rpm redline, reinforces that analogy. 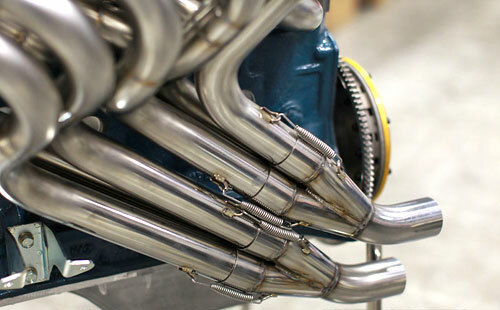 Fuel injection is optional; the TC24-B1Z leaves the craftman’s bench with a lovely set of triple Webers, shown above. 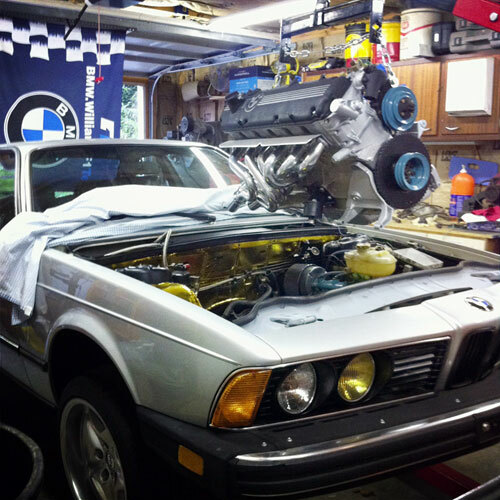 The beauty comes at a price, though: Only nine have been built, and if the cylinder head alone is worth over $30,000, it’s not a stretch to imagine the whole package costs perilously close to 6 figures, if not more. Still, as the Bugatti Veyron of naturally-aspirated L-series engines, it’s a stunning sight to behold, and as a vintage Datsun owner, it’s affirming to know the platform is receiving such attention. Much like our earlier installment of the Technical Curiosities series discussing the Laycock de Normanville overdrive, I couldn’t not talk about desmodromic valves for the awesomeness of the name alone. In essence, what we have here is a valve not only opened using positive mechanical pressure from a camshaft lobe (as in nearly every conventional reciprocating piston engine), but also closed by a camshaft lobe and follower, doing away with the valve spring. With precise timing, one lobe clicks the valve open; the other slams it closed. 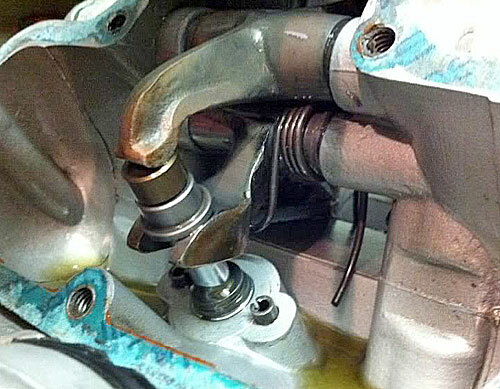 By eliminating the valve spring, all possibility of valve float is removed. 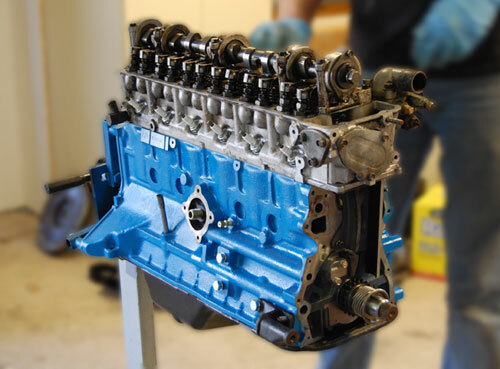 Valve float occurs in a conventionally-sprung valvetrain arrangement at high rpm when a valve spring is unable to pull the valve shut quickly enough, disrupting timing and in extreme cases allowing the valve to contact the piston, leading to their mutual destruction. Engines with desmodromic actuation can thus rev higher without the threat of internal damage, and the multiple camshaft arrangement allows for slightly more sophisticated valve opening and closing profiles. The downsides of the a desmodromic valvetrain include added complexity, twice as much mechanical noise (clicking and tapping and such) as a conventional setup, and more required maintenance in the way of valve adjustments. Also, if maintenance is neglected and the clearance between the closing cam lobe and follower is allowed to become too large, the valves might not held fully closed, leading to a whole host of running problems. In spite of its advantages, the configuration has only been adopted by a few manufacturers, most prominently Italian motorcycle firm Ducati, who use desmodromic valves in their bikes to this day. On the automotive side, only Mercedes, back in the 1950s, designed a handful of racing engines (fitted to their W196 and 300 SLR racers) around the unique valvetrain. 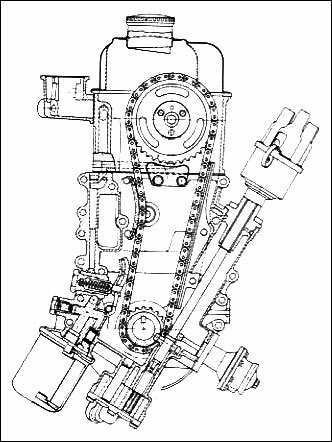 Eventually, as with the sleeve valve, more sophisticated engineering and metallurgy all but eliminated the disadvantages of a conventional engine arrangement, and the alternative solution fell into obscurity (with the noted exception). 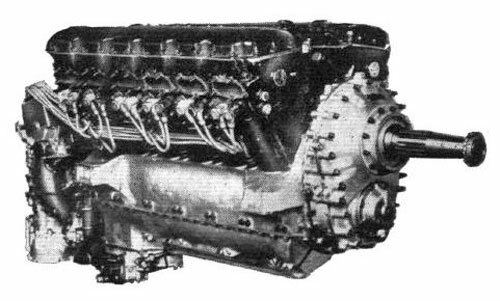 A few years before the development of the world-beating (and war-winning) Merlin in the late ’30s, Rolls-Royce released this turd of a powerplant. The Goshawk was a 21-liter, 600-hp V12 engine developed to power the fighters bidding for the 1934 British F7/30 specification. As it turned out, all eight of the designs submitted turned out to be completely unsuitable for combat even before they left their respective drawing boards, their immediate obsolescence caused in no small part by the Goshawk’s inherent design flaws. In fairness, the British government’s specification was remarkably backward-thinking and short-sighted in many respects, but the fact that Rolls-Royce powerplant was totally inappropriate for a fighter should have been obvious to any casual observer. Radiator size. The actual amount of coolant making the rounds in the pipes may have been less than that of a conventional setup, but the radiator (in this case, condenser) capacity needed to allow the gas to condense back into a liquid was much greater, posing insurmountable difficulties when it came to integrating them into the airframe with an acceptable amount of drag. Total unsuitability for combat maneuvers. 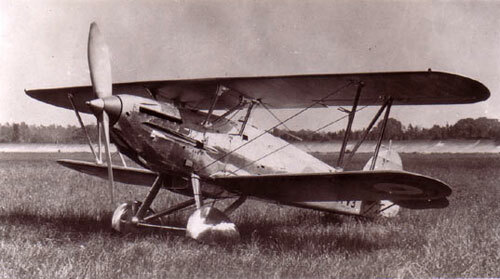 The Goshawk, with its steam cooling system, was intended primarily for fighter aircraft, a type designed with a high level of agility, including negative-g maneuvers and inverted flight. It’s obvious what kind of problem this flight behavior would pose to a cooling system dependent on gas and liquid to occupy specific locations in order to operate properly—the mildest movement would cause the steam and liquid to trade places and completely ruin the effectiveness of the system. Successful? Hardly. Interesting? Sure. Oftentimes engineers learn as much from what doesn’t work as what does, and viewed from an historical perspective, it’s perhaps fortunate they learned “the hard way” from the Goshawk’s difficulties before the more urgent days of the late ’30s arrived. 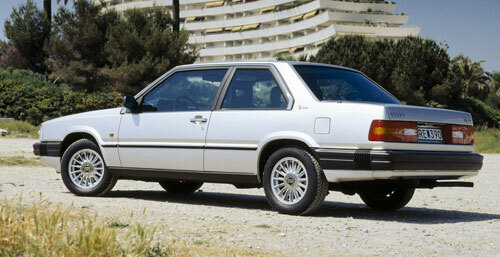 As an avowed sufferer from Automotive ADD, this is what I want today. Saw one trundle by yesterday—bronze with black Fuchs—while I was putting up beadboard for my in-laws and I was freshly reminded of how much I like them. 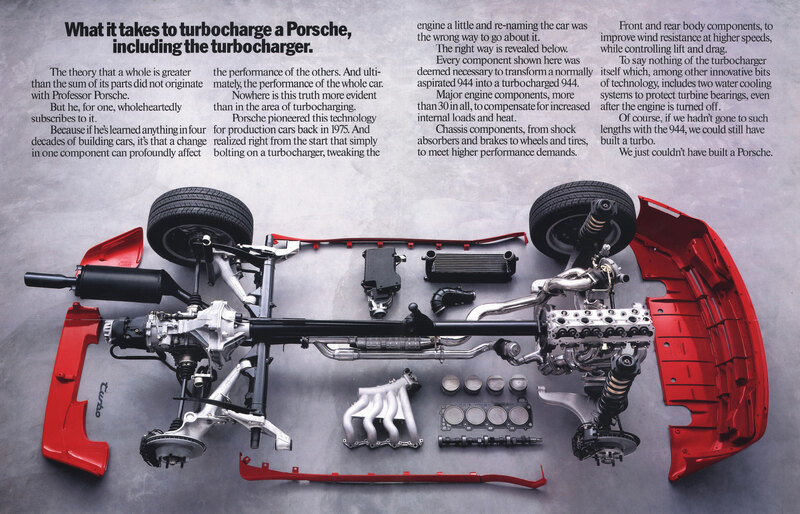 Besides its universally-acclaimed attributes like world-class handling, good looks and a startling turn of speed in Turbo guise (internal model code 951), the Porsche 944 has a few technical quirks that particularly endear it to a fan of unconventional engineering like myself. 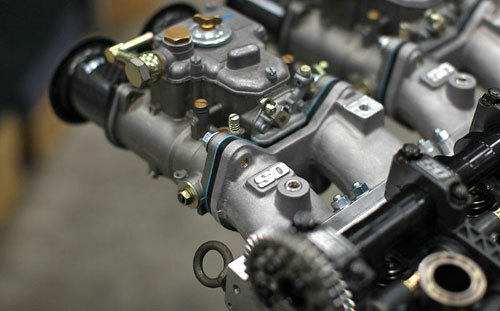 Rear transaxle. Perhaps the most obvious difference between the 944 and a more mundanely-engineered sports car is the location of the transmission. A key element of the car’s perfect 50:50 weight distribution and stellar handling, an unfortunate side effect is the fact that the clutch and trans arrangement is more difficult to service for those of us used to a more conventional layout. Rear suspension torsion bars. Another noteworthy feature of the 944 is the absence of coil springs at the rear of the car. 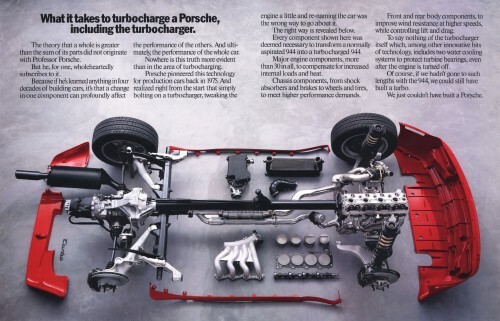 Instead, Porsche equipped the car with torsion bars. Advantages include lower unsprung weight for better suspension geometry response, as well as a more compact installation, but aftermarket upgrades can be hard to come by. Divorced manifold and post-cat wastegate exhaust return. 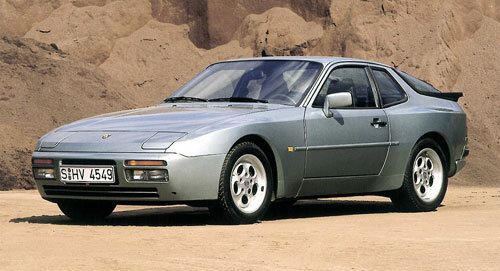 Porsche was an early master of turbocharging technology, and their engineering decisions on the 944 Turbo show it. The wastegate location and intersection with the manifold and exhaust pipe are all crafted to allow the smoothest, highest possible energy flow into the turbo itself. Yes, there’s a bit of extra piping and complexity, but the arrangement pays dividends in performance and shows Porsche really knew what they were doing, in contrast to many of their less-experienced, downmarket contemporaries. I love cars like this, ones that seem so common and run-of-the-mill externally but hold more than their share of mechanical uniqueness. In the 944 Turbo’s case, the external design was so successful that it spawned a number of imitators like the FC RX-7, and as such the styling blends in to the automotive landscape perhaps more than it should for something so attractive. The prevalence of its shape means one has to dig a bit deeper to find the design quirks, but they reward seekers with how well they reflect on their manufacturer’s performance expertise.